John King has been promoted to Sales Director for Carl F Groupco. While retaining his national sales management responsibilities, he will also sit on the company’s board of directors. With over thirty years’ experience gained across management, technical, sales and hands-on roles in the door and window industries, John returned to Carl F Groupco in 2017 to head up the company’s nationwide team of Regional Sales Managers (RSMs): he had previously worked for the company for eight years as an RSM. 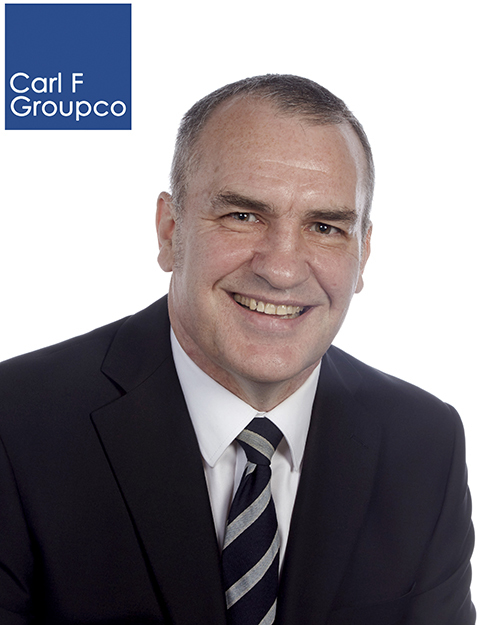 Commenting on the appointment of John King to the board, Managing Director John Crittenden said: “With a strong background in management, a passion for Carl F Groupco’s products and a commitment to our service ethos, we welcome John to our board of directors. The promotion is highly deserved and he will be an asset to our board contributing to strategic planning for the continued growth of our brands and distribution service.” After starting his career in fabrication in the early days of PVC-U, John moved to a technical services post. He went on to take the positions of Production Director and head of a commercial installation operation before joining Carl F Groupco.